Eric Smith holds a Ph.D. in history from the University of Illinois at Chicago. 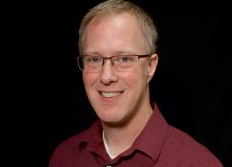 He has taught at the Illinois Mathematics and Science Academy since 2007. He has also held adjunct positions at Loyola University, Columbia College Chicago, and Aurora University. He is the author of the book Tending the Wound: American Relief Aid and the Spanish Civil War, 1936-1939(University of Missouri Press, 2013) as well as a number of essays, articles, and chapters in books.